Lori Herter grew up in the suburbs of Chicago, graduated from the University of Illinois, Chicago Campus, and worked for several years at the Chicago Association of Commerce & Industry. She married her husband, Jerry, a CPA, and they moved to Southern California a few decades ago. They still live there with their two cats, Freddy and Jasmine. They have traveled extensively in the U.S., Canada, Europe, New Zealand, Australia, and Tahiti. Lori's favorite destination of all is Ireland. Over several trips to Ireland she has visited all parts of the island, both Northern Ireland and the Republic of Ireland. 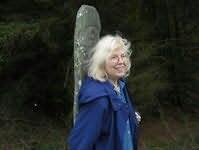 Delving into Celtic legends and Celtic Spirituality has been a special interest of Lori's in recent years. "A fast-paced story amidst the rich decadence of New Orleans." "The mystical compelling story of a man who became a wolf...Romantic and enthralling."